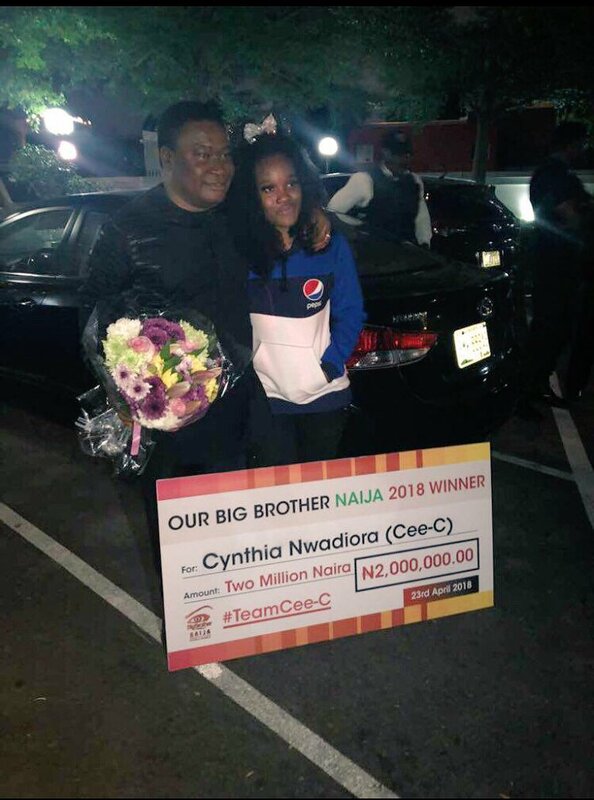 Controversial Big Brother Naija 2018 first runner up, Cee-C who couldn't win the said money in the just concluded Big brother Naija show which saw Miracle as the winner has been rewarded by fans despite all the hate according to a source. 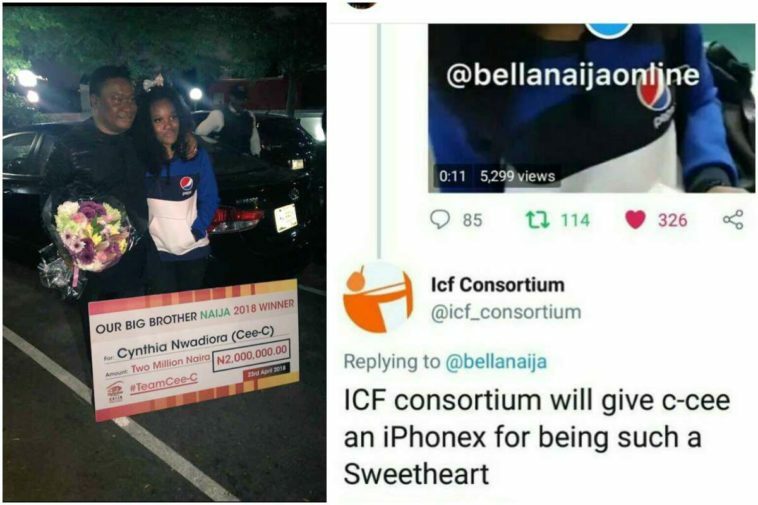 Her fans however have declared her their BBNaija 2018 winner and rewarded her with a N2million cheque. 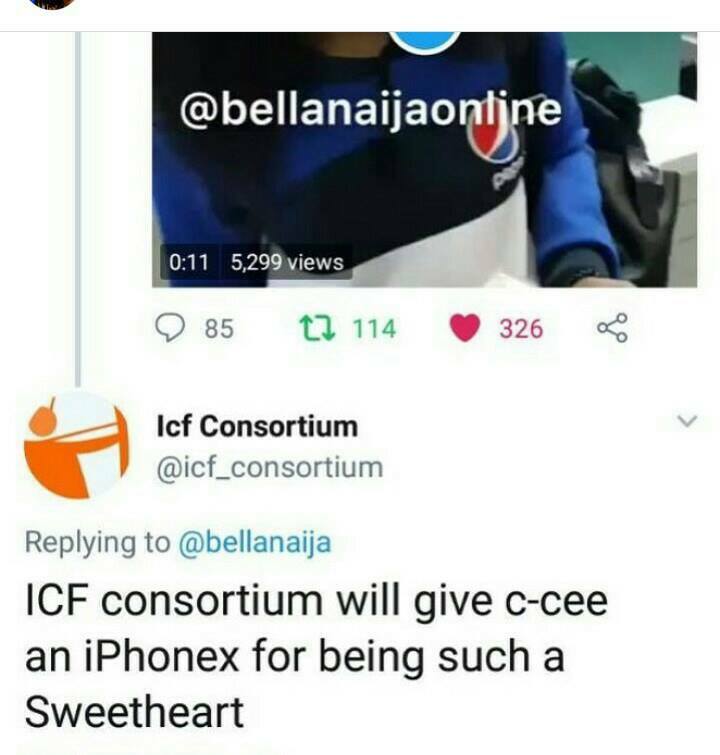 Check out the photo below along with other gifts Cee-c received from her fans. 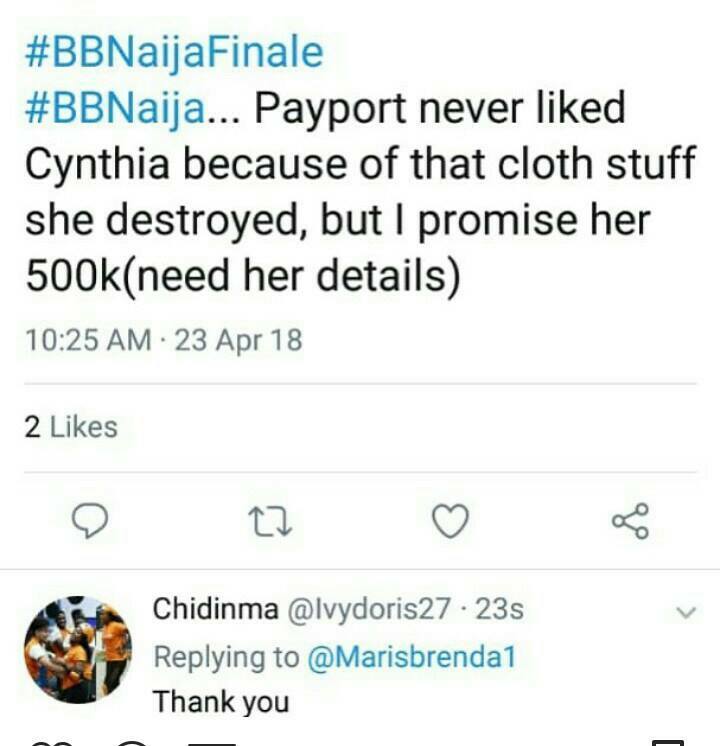 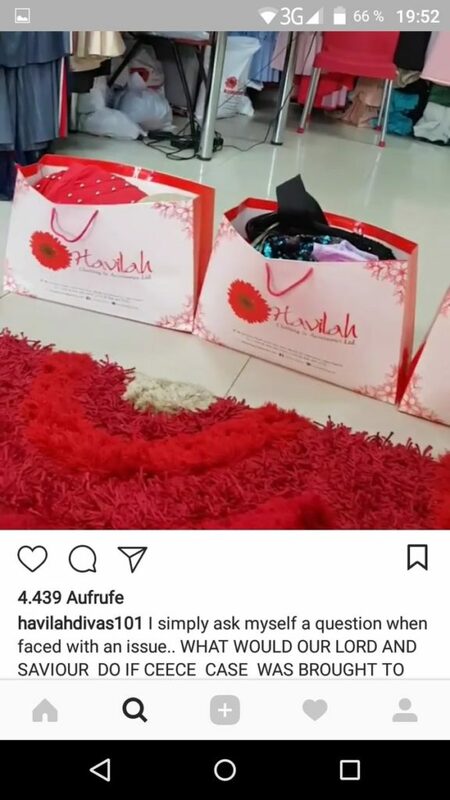 In addition to the said amount, the CEO of Havilah Clothing has donated 10 desiger dresses for Cee C , a philantropist donated N1m & a fan donated 500k plus iphone X.
Cee-C’s fans stood by her despite the insults thrown at them from Tobi and Alex’s fans as they all waited at the Lagos airport to receive the BBNaija 2018 stars. 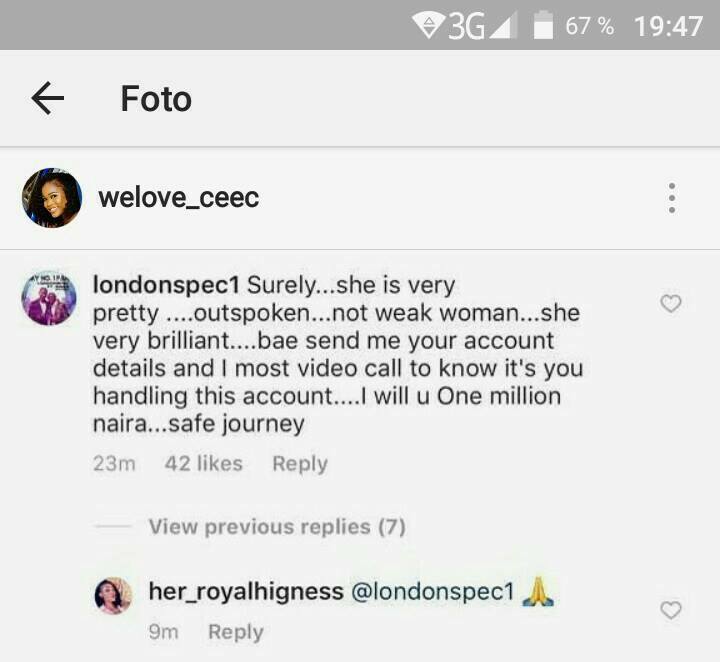 Truly In the midst of the hate coming from Team Tolex…. 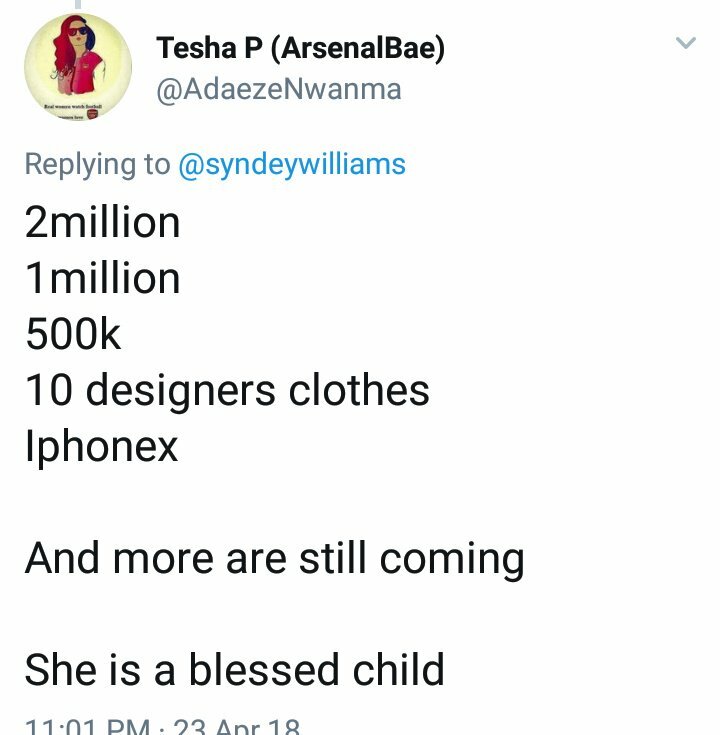 We still stood our ground with our chants!